Twelve Traditions apply to the life of the Fellowship itself. They outline the means by which A.A. maintains its unity and relates itself to the world about it, the way it lives and grows. 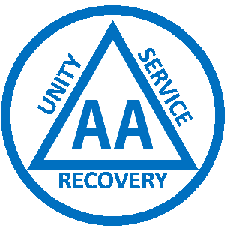 Information on Alcoholics Anonymous - For Anyone New Coming to A.A. - For Anyone Refering People to A.A. These pamplets and more are available at our Central Office Location.